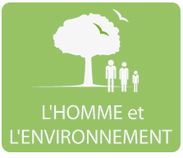 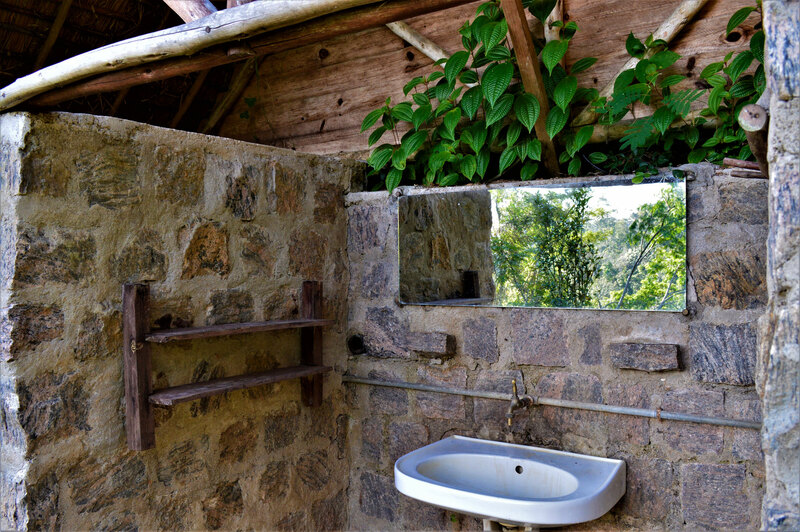 After a 45 mn walk from the village of Ambavaniasy, you'll reach Le Relais du Naturaliste, our ecolodge located at the edge of the forest, offering incredible scenery. 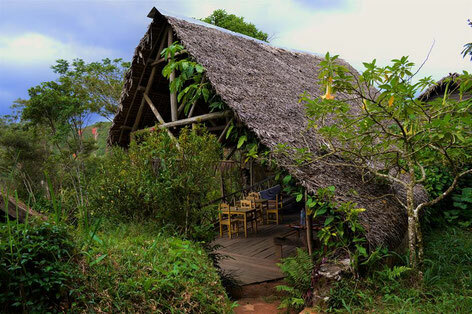 On the road you'll walk past traditional wooden houses and you'll have to cross two rivers and a railway. 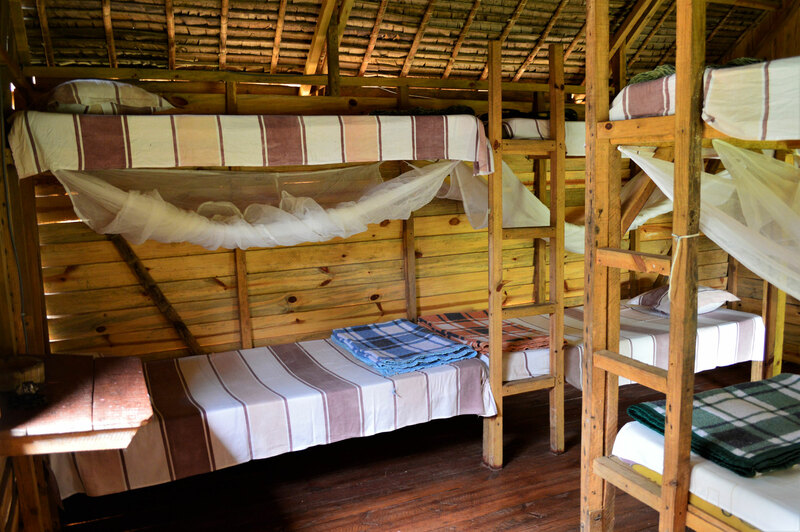 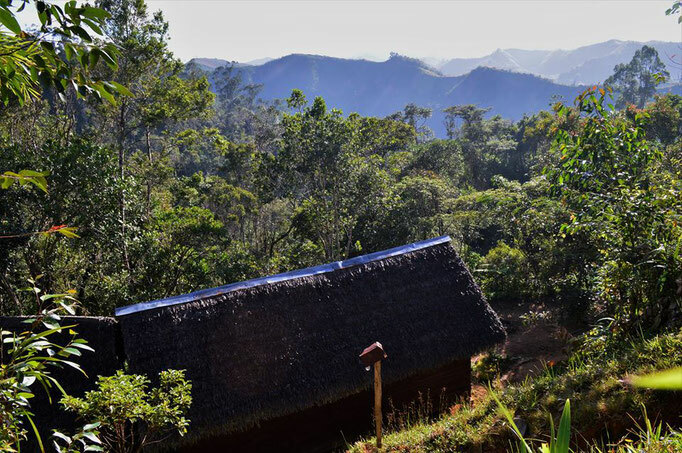 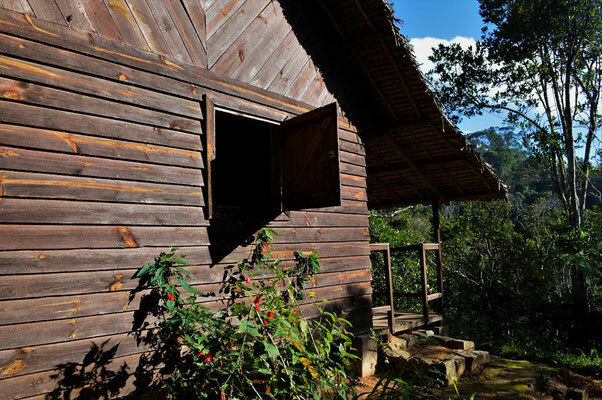 The comfort of the ecolodge is quite basic, that is what makes it so special. 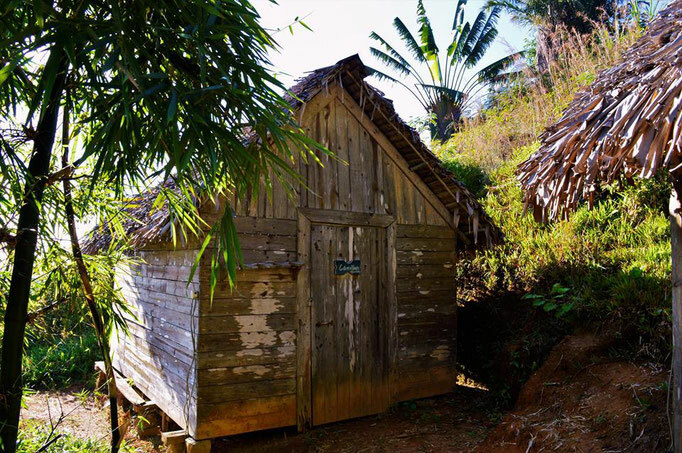 You won't find luxury bungalows but traditional houses made of wood and Ravenala leaves. 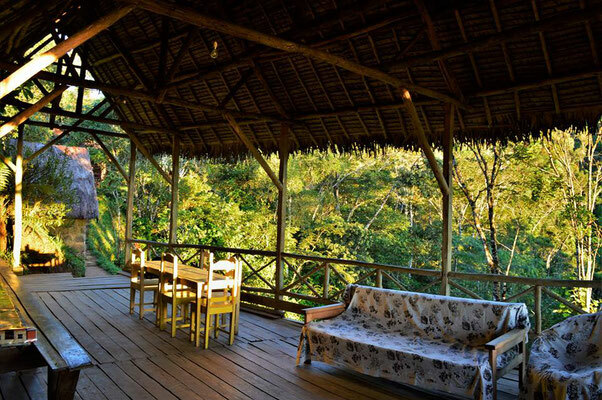 If you're looking for an immersion, deep into nature, here's your shelter. 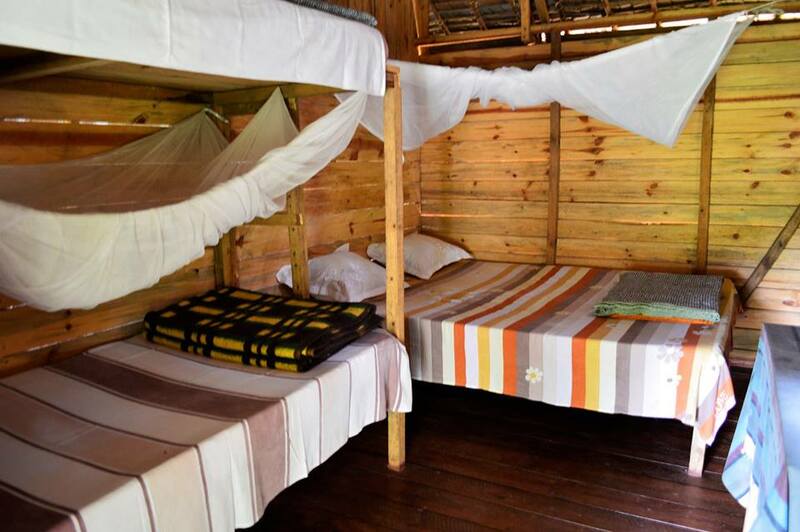 Le Relais is equipped with 2 dormitories (8 and 4 persons) and 3 bungalows. 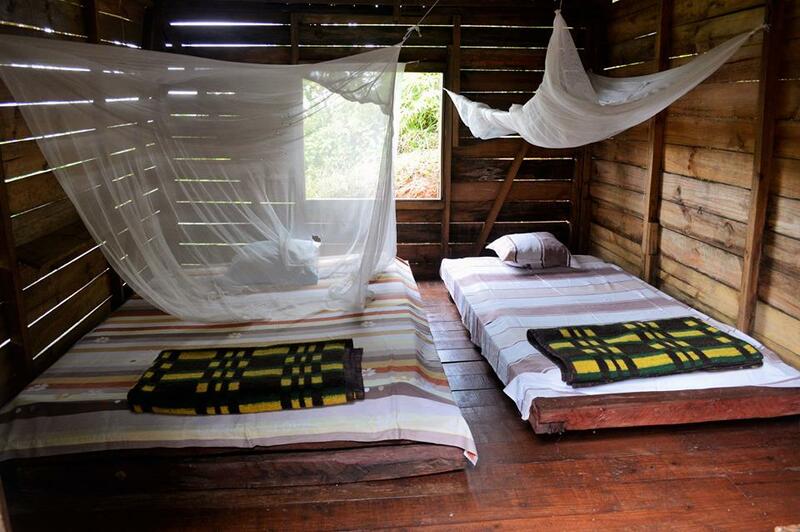 Every bed has it's own mosquito net and a blanket for the cold nights.